Bassiste et chanteur US né James Albert Bowen le 30 Novembre 1937 à Santa Rita (New Mexico), mais installé à l'age de 8 ans à Dumas (Texas). 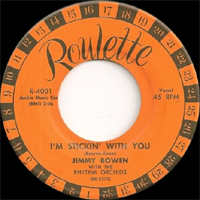 En 1955, Jimmy Bowen tient la basse dans les "Rhythm Orchids" de Buddy Knox. En Octobre 56, ils enregistrent ensemble un premier disque pour Bluemoon avant d'être racheté par Roulette Records. Les sessions se passaient à Clovis (New Mexico) dans les studios de Norman Petty, et Buddy Holly aurait participé à plusieurs de celles-ci. 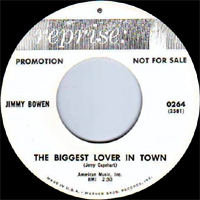 Jimmy Bowen est devenu producteur après avoir enregistré sans succès pour Roulette (57-60), Capehart (61), Crest (61), Reprise (64) , AMS et Skila Records. Since the 1970s, Jimmy Bowen has been a powerful executive in the record industry; he's worked for several labels, but has stayed with MCA since 1986, and is acknowledged as one of the most influential figures in Nashville. He entered the business a long time before that, though, as a teenage rockabilly singer, landing a Top 20 hit in 1957 with "I'm Stickin' With You." The song was basic in the extreme, built around a thwacking bass riff, a singsong melody, and Bowen's own nervous, boyish Vocalss, suggesting that it may have been intended as nothing more than a demo. That indeed may have been close to the truth, as it was first released as a B-side to a song that made number one, Buddy Knox's "Party Doll." Bowen and Knox's careers were bound together in an unusually close fashion that makes thumbnail sketches of their recording activities rather cumbersome and tangled. Knox (guitar, Vocalss) and Bowen (bass, Vocalss) met in the '50s and became the frontmen of a rockabilly combo, the Orchids. They were directed to Norman Petty's studio in Clovis, NM, by Roy Orbison. There the Orchids cut "Party Doll" (with Knox on Vocalss) and "I'm Stickin' With You" (with Bowen on bass). 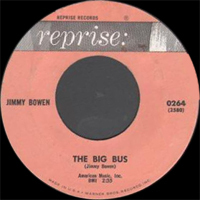 The tracks, both co-written by Knox/Bowen, were issued on the small Triple D label, the top side billed to Buddy Knox & the Orchids, the other to Jimmy Bowen & the Orchids. When the single was leased to Roulette for nationwide distribution, the company shrewdly divided the product into two separate singles. When both became hits, it found itself with two separate new stars, although nominally they were still part of the same group (now renamed, to further confuse matters, the Rhythm Orchids). 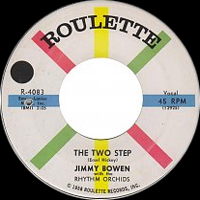 Bowen and Knox embarked on simultaneous solo careers for Roulette, although each continued to use the Rhythm Orchids as his backup band for quite a while. That accounts for the similar mild rockabilly-pop sound of each artist, but Knox was a far better singer, songwriter, and instrumentalist than Bowen; for that matter, he was far more successful, landing a string of smaller follow-up hits to "Party Doll." 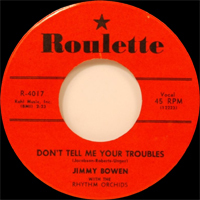 Bowen never entered the Top 20 again, although he did quite a bit of recording for Roulette in the late '50s. He found it hard to recapture the unforced bounce of "I'm Stickin' With You," and indeed his Roulette sides rate as some of the tamest rockabilly of the '50s. Bowen was probably unsuited to be a frontman to begin with, despite his teen-idol looks; his range was narrow (sometimes he sounds like a gawky Johnny Cash), and his delivery was stiff and unsure of itself. His material was fairly slight as well, and at the end of his stay with Roulette, he'd abandoned rock for misguided and soggy attempts at orchestrated pop. Bowen would make some more records, but it was really more the beginning than the end when he moved into production. In the mid-'60s he worked with Frank Sinatra, Sammy Davis, Jr., and Dean Martin at Reprise; since then he's had high posts at Capitol, MGM, Elektra/Asylum, and MCA, concentrating mostly on country music in recent times.